John-Paul is a Postdoctoral Research Fellow on the PREPARE project based in UCD School of Medicine – who grew up in Fettercairn. As a qualitative sociologist, his work there explores key facets of clinical trial design and conduct which link to broader notions and experiences of care (e.g. ethics, consent, therapeutic misconception, autonomy, risk etc.) from the perspective of multiple stakeholders. 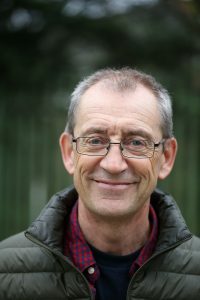 John-Paul obtained his PhD in Sociology from Maynooth University studying the experience of autonomy and stressors in the working life of IT workers in Ireland and Denmark. He previously held research positions on a European Research Council (ERC) funded project on working conditions in Europe, and a HRB funded project on the experience of patient-centred epilepsy care in Ireland – both based in Maynooth University. John-Paul is a recipient of the Government of Ireland Postgraduate Scholarship from the Irish Research Council (2012). He has a Bachelor of Social Science and Masters in Sociology from UCD. His research interests are in the fields of sociology of health, sociology of work, and qualitative methods. Jim has a background in HR and is an experienced and qualified Human Resources professional with a range of experience in the private and semi-state sectors, Jim currently works in RTE Networks as Human Resources Manager. He has previously worked in other large multi national companies in the Automotive, Food ,Mining and Facilities Management industries. He has considerable experience and expertise in industrial / employee relations, and is keenly interested in training and employee development. Jim is an accredited mediator and has just completed studies in the area of Adjudication. Originally from Glasgow Jim moved to Ireland many years ago . Suzanne is Associate Professor in Research Design and Analysis with the School of Psychology at University College Dublin. She teaches in the area of applied psychology and research methods and is involved in the delivery of modules at both undergraduate and postgraduate level. Suzanne is Deputy Director of the UCD Centre for Disability Studies and jointly coordinates the MSc in Rehabilitation and Disability Studies. 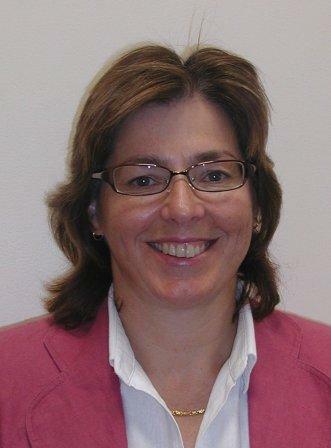 Her research interests include Disability & Health, Teaching & Learning, and Applied Research. 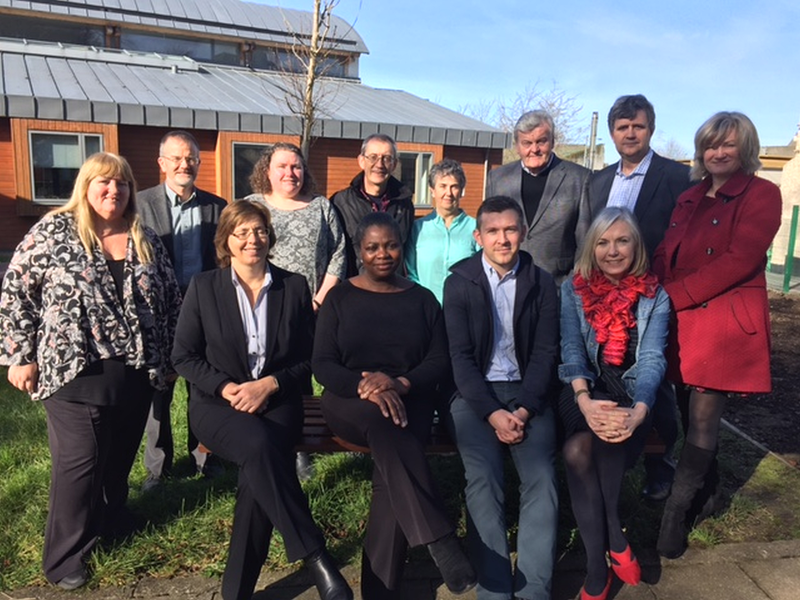 Suzanne serves on a number of Boards and Committees in UCD and other organisations. Suzanne became chair of our Board in April 2014. Mary P. Corcoran is Professor of Sociology at Maynooth University where she is also a research associate at the National Institute for Regional and Spatial Analysis (NIRSA), and a member of the University’s Governing Authority. She is a graduate of the University of Dublin, Trinity College and Columbia University, New York. Her research and teaching interests lie primarily in the fields of urban sociology, public culture and the sociology of migration. Mary P. Corcoran was a Taoiseach’s nominee to the National Economic and Social Forum (NESF) for five years. She has previously served on the Senate of the National University of Ireland and on the Social Science Committee of the Royal Irish Academy. Currently, she is a member of the Local Community Development Committee, South Dublin County Council. Her RIA Dublin Talks contribution is available at https://www.ria.ie/events/dublin-talks.aspx. 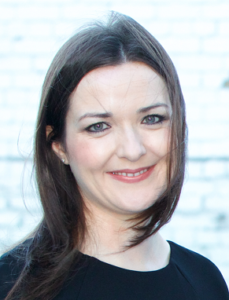 Alice O’ Flynn is a freelance management consultant with Súil Eile consultancy. Súil Eile works with a wide range of organisations advising on organisational structure, strategy, funding streams and policy development. Alice has a BA in Applied Social Science, is a qualified & experienced Social Worker and has an MSc (Mgt) Organisational & Strategic Management from Trinity College. She is also an experienced mediator, mentor and coach. 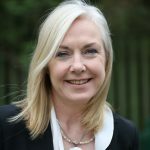 Alice has over 30 years experience of working in the health and social services sector at senior management level with government departments, local authorities & the statutory and non-governmental sector in England, Scotland & Ireland. Her practice fields of knowledge and expertise include social inclusion, equality, human rights, child protection and mental health. In the period 2000-2010 she worked for the Irish Health Services Executive as Assistant National Director for Social Inclusion before leaving and setting up Súil Eile. Foluke Oladosu has a child care background. She is passionately involved in different community voluntary work. She is a community representative for Fettercairn area. She works with the new communities in South Dublin County. 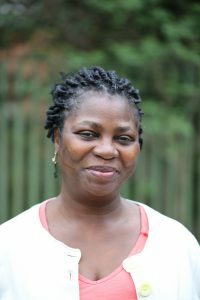 Foluke is currently doing a degree course in Leadership and Community Development in Carlow IT via An Cosan while working part- time as holistic therapist in SWAN Family Support Organisation center in Fettercairn. 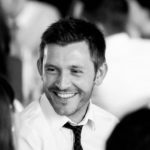 A qualified accountant and project manager, with a range of experience in the commercial sector, John currently works in IBM, heading up Automation Advisory Services. He has previously worked in other large multi national companies, including banking and tele communications, as well as being self employed for a number of years. He has considerable experience in, and expertise regarding change management, business and financial analysis as well as cost / performance transformation. John has lived Tallaght for the last 15 years. Elizabeth Nixon is Assistant Professor in Developmental Psychology in the School of Psychology at Trinity College Dublin. She is the director of the undergraduate degree programme in psychology. She is a graduate of University College Dublin and Trinity College Dublin. Her research and teaching interests lie in the area of parenting and family as a context for children’s development. She is a Co-Investigator of Growing up in Ireland, the first national longitudinal study of children’s development in Ireland, and established and co-directs the Infant and Child Research Lab at Trinity, where she conducts research on parent-child interactions. Helen Johnston is a Senior Social Policy Analyst at the National Economic and Social Council in Ireland, where she has worked on projects on well-being, quality and standards in human services, the social dimensions of the economic crisis and jobless households. She is also the Chairperson of the Centre for Cross Border Studies. Helen previously worked at the Combat Poverty Agency. A native of Northern Ireland, Helen worked in the Northern Ireland civil service in the early years of her career. She has qualifications in Environmental Science, Town and Country Planning, Business Administration, and has a doctorate on the determinants of implementation in the Irish policy system. Helen has a strong interest in tackling disadvantage, especially through prevention and early intervention. Paul Murphy has recently retired from the Irish Prison Service where he was the Head of Psychological Services for a number of years. Paul has considerable experience as a clinical psychologist, but also had a significant management and strategic function in his role, and was central to initiating family friendly measures into prisons. His experience will be of particular relevance to CDI as we continue our work in prisons in relation to both parenting and restorative practices. Brendan Cremen is an experienced business and technology innovation executive who has worked in the SME and MNC industry sectors in Ireland and the US and also in the Irish public sector. 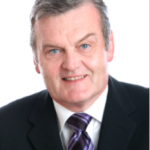 Brendan has been Director of Enterprise & Commercialisation at UCD since 2012. In this role he is responsible for driving the formation and support of new spin-out companies and intellectual property (IP) licensing for the university. For most of the 1980s and early 1990s, Brendan held senior engineering and business management roles in the USA at Lattice Semiconductor from the start-up phase through to IPO. On returning to Ireland in the mid-1990s, Brendan was a member of the launch team for Xilinx Ireland where, as Director of Engineering, he led the expansion of its mandate as an international R&D hub for the corporation. Brendan was also Director of Technology Transfer at University College Cork where he established this new office. Has leadership of, and responsibility for, strategy implementation, governance and accountability.